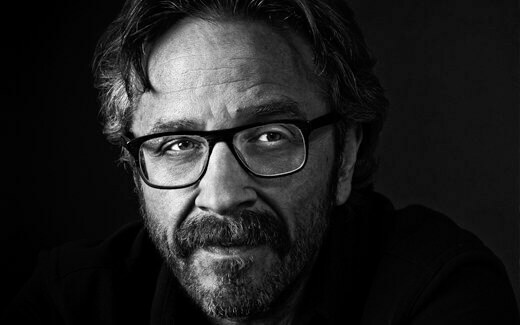 Despite, or perhaps because of, Marc Maron’s angry introspective persona, he’s a charming curmudgeon of a comic. Maron performed two solo shows on Tuesday night, one at 7pm and one at 9:30pm at the Queen Elizabeth Theatre for warm and welcoming audiences. I caught the 7pm show, which opened with Andy Kindler and his patented old-man-complaining-meta-joke-deconstruction style. Kindler had the audience laughing and ready to go for the seemingly surprised, but thrilled, Marc Maron who started his set joking back and forth with Kindler. Maron then touched on Canada and its pleasantness, his neuroses in regards to people who like him, his creative process, and his thought process at 5:30 in the morning. He did a brilliant recurring bit voicing his inner blogger where he would address how he thought the show was going, which would have made my job easier had it not been for his tendency to skew a bit more negatively than my opinions. I thought things were going quite well as his flow was consistent, and tight. 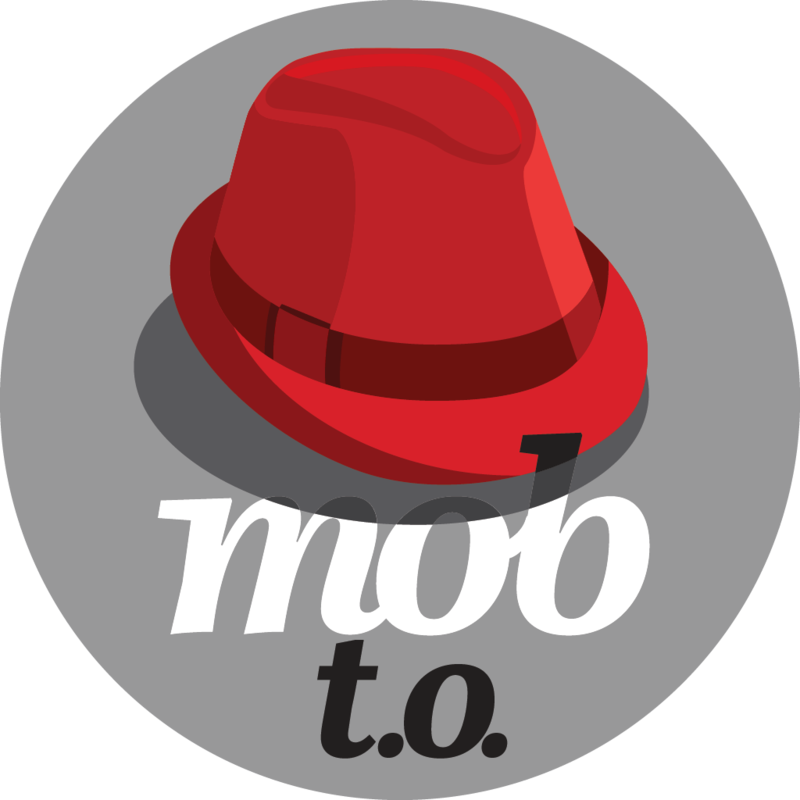 Having seen him perform his solo show only two months ago in Montreal for Just for Laughs, I found quite a bit of the material to be new or different, and the jokes that were familiar were placed within a new context and were made new. Maron was refreshing in his section on religion. Instead of doing what has become somewhat old hat—making fun of Christians—Maron took aim at Atheists. Of course Christians, Jewish people, and generally spiritual people were not left completely unscathed either. Also, it wouldn’t be a Marc Maron show without some audience interaction, this time with an 82 year old gentleman, which led into bits on how he cured his hypochondria and an anecdote involving Viagra. 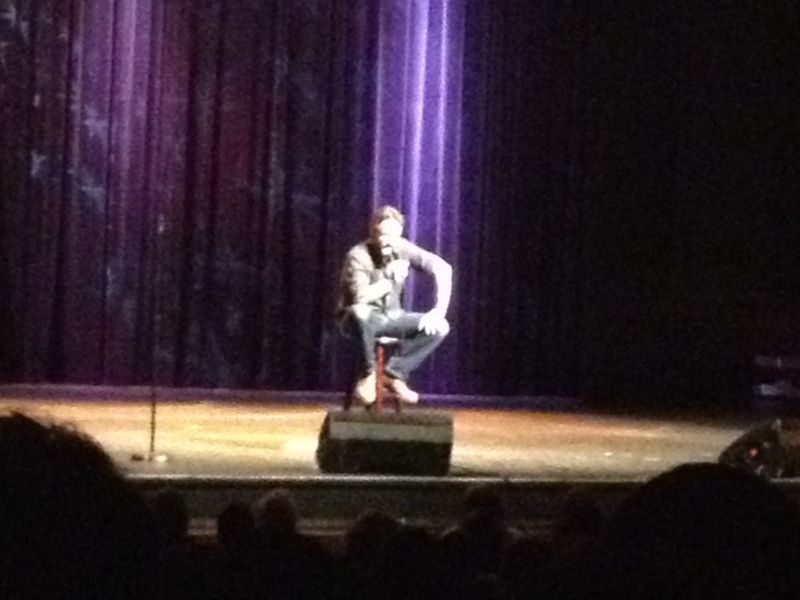 Maron concluded his show tightly like the class act that he is and was rewarded with a well-deserved standing ovation. Marc Maron’s #JFL42 appearances have ended for this year, but should you get the chance to see him live, whether a solo show or with his WTF with Marc Maron podcast, do it.